The Command Post Restaurant has many delicious breakfasts to choose from all day. PRIVATES include hamburgers, pork tenderloins, ham, barbeques, and much more. and the MAJOR, a chopped steak. DESSERTS and SOUPS are made fresh daily in our kitchen. SPECIAL HOURS are available for groups. 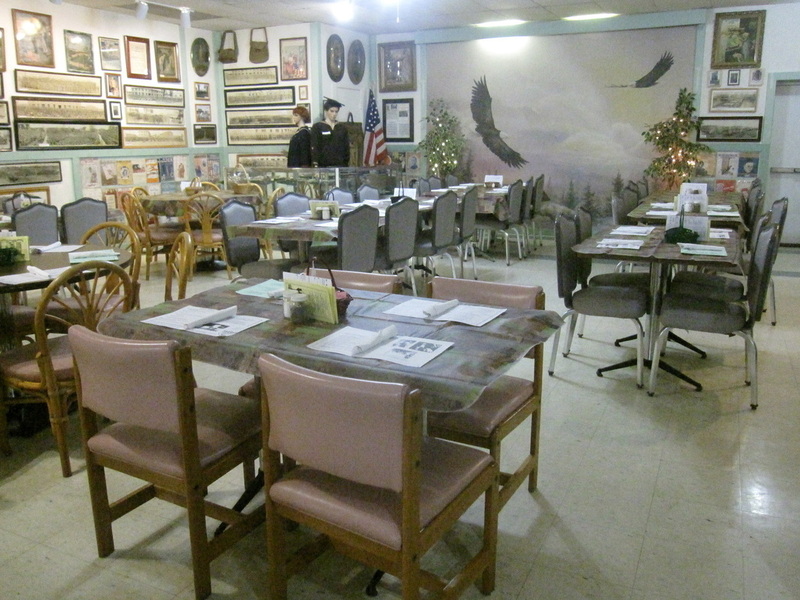 Bring your group for an army mess (meal). For group reservations, please call 815-395-0679.